Rothco Deluxe Camo Stool With Pouch | BUDK.com - Knives & Swords At The Lowest Prices! 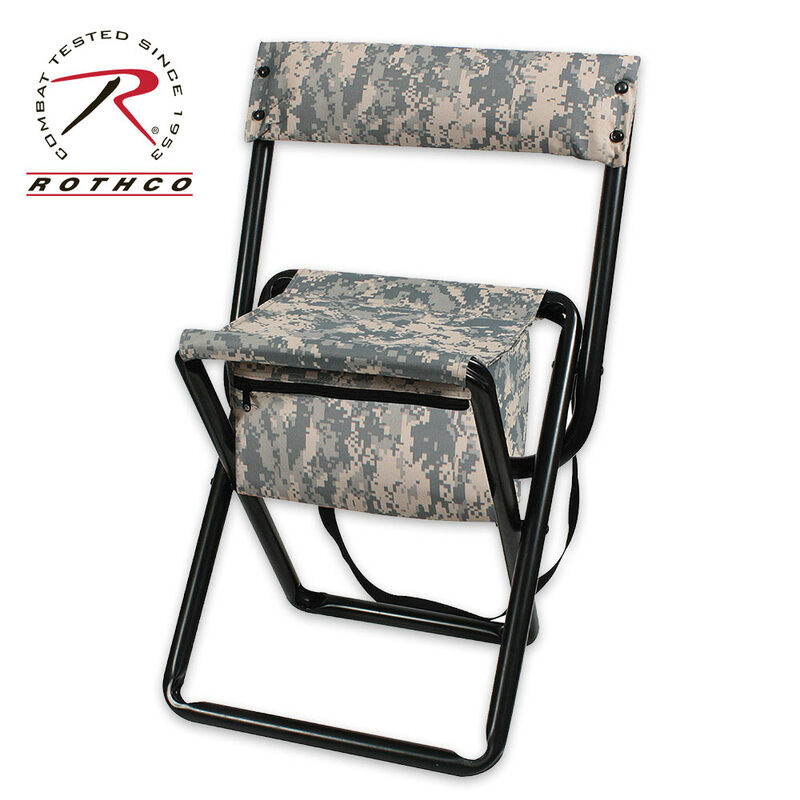 Great for hunting and backpacking, the Rothco Deluxe Camo Stool with Pouch features a storage pouch beneath the seat. The stool also features a sturdy back to lean against and both seat and back are made of durable camouflage polyester cloth.